Children of abused mothers at an increased risk of obesity should be closely monitored by parents and carers, a UK obesity organisation says. The statement was made in response to a US study published last week in the June issue of the Archives of Paediatrics & Adolescent Medicine Journal. The study, which monitored the development of 1600 children born between 1998 to 2000, over a five year period, found that children of abused women have an increased risk of becoming obese by the age of five. The National Obesity Forum (NOF) agreed that children are likely to comfort eat as a result of emotional distress, which can include living in a violent or abused environment. Recent figures from a Department of Health report shows that in the UK, three in 10 boys and girls aged two to 15 are classed as overweight and obese. 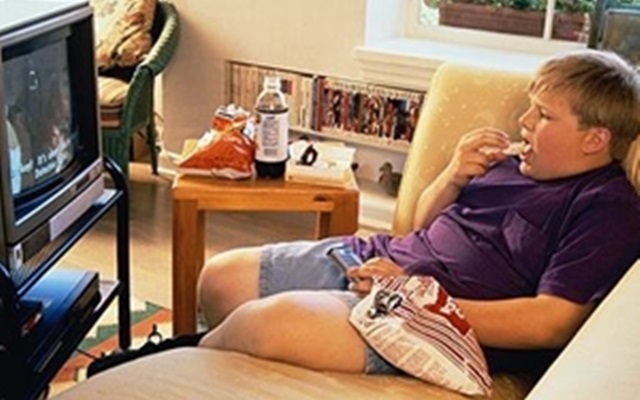 The overall obesity rate has increased from 9.7 per cent to 14.4 per cent over the last 10 years. Whilst there are no UK studies that examine the link between obesity and abused mothers, according to the NOF, children can become obese by comfort-eating as a way of coping with increased stress. Tam Fry, Honorary Chairman for the Child Growth Foundation and NOF spokesman, told People with Voices that such children should be closely monitored. The American Psychiatric Association says that domestic violence and abuse can lead to common emotional trauma such as depression and anxiety, but children who have been exposed to a violent environment are at risk of behavioural problems that can include eating disorders. This view is endorsed by Dr Renee Boynton-Jarnett, from Boston University School of Medicine and Colleagues, who agreed that witnessing family violence or abuse can cause emotional distress where food becomes a comfort for all the negative emotions experienced. In the absence of research, it is not known to what degree children in the UK in similar circumstances are affected, but Tam Fry from NOF told People with Voices that if the problem was found to be widespread then drastic measures may have to be taken to ensure the well being of children at risk. “One solution could be to take children into care but with mother granted access until mum's abuse had been sorted out and she properly could care for her child herself."